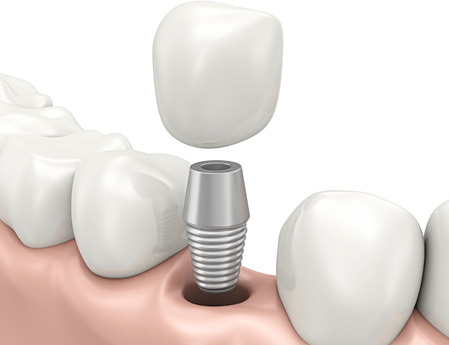 A Dental implant is a Titanium metal fixture (usually a type of screw) that is surgically placed into the jaw bone. The implant fixture then fuses with the jaw bone undergoing a process called osseointegration. 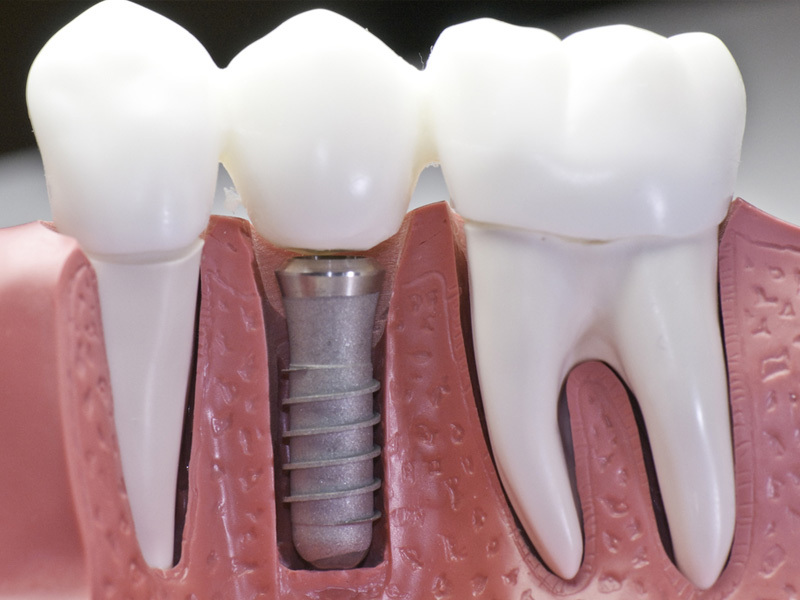 The implant then acts as a support for a false tooth (a dental implant crown) or a set of false teeth (implant bridges or implant dentures) Dental implants and their attached crowns closely mimic the look and function of real teeth. 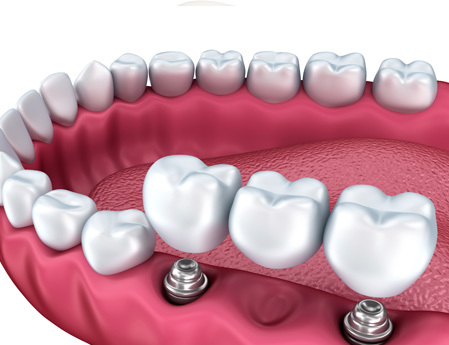 Dental implants are typically placed to provide solutions and alternatives to the problems created by tooth loss. Improved chewing ability and other oral functions such as speech. Improved Oral health hence less gum problems and infections. In most cases, anyone healthy enough to undergo a routine dental extraction or other Oral surgery procedures can be considered for a dental implant. Healthy gums and adequate bone to provide anchorage to the implant are also very important. Some people are not good candidates for implants. Certain factors such as heavy smoking, diabetes some bleeding disorders, radiation therapy to the head or neck and certain medications can significantly influence the outcome of treatment. Most people who have received dental implants say that the procedure involves very little discomfort and that it is often less painful than any tooth extraction.